Wondering what are the essential things that you should carry along, while camping? Read on to learn about what to take on camping. Want to get away from the hustle and bustle of a city life into the calm, inviting and pollution free laps of nature? Camping is one activity that can provide you with an opportunity to enjoy the great outdoors and bond with nature in a true sense. It is, undoubtedly, the best way to get away from the fast running metro life into the peaceful surroundings of pleasing sounds of nature. You will not only get an opportunity to indulge in fun activities with your family and friends, but will also get an opportunity to understand and cherish life. However, since outdoors is mostly unpredictable, you might have to face uncertainties, discomfort and some dangerous experiences, while camping. Therefore, it is important on your part to go fully prepared to meet uncertainties of any form. You might have to face a lot of discomfort, if you are not carrying all the essential equipments that need to be carried when going out for camping. Mentioned below is a list of things to take when camping. 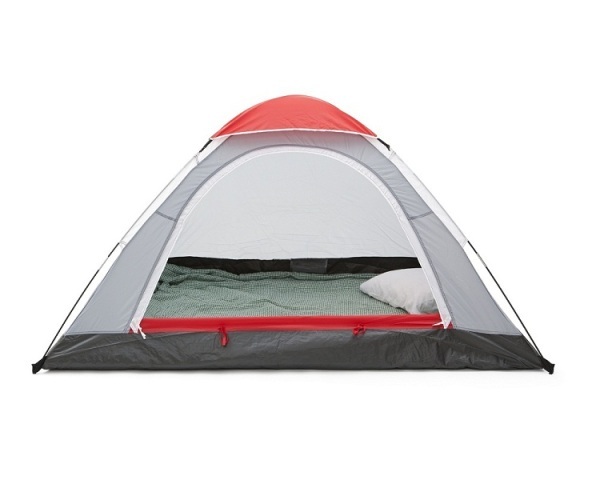 Tent is the most important of all equipments that you must carry, while going out for camping. Make sure you carry a tent that is big enough for the whole team or ask every camper to carry individual tents. Tent, apart from taking care of the safety, will also provide you an experience to sleep under the clear sky and shining moon. Another important equipment not to forget while camping is your sleeping bag which will help you stay warm in the wild and will also provide you the comfort on the uneven surface of the forest. Purchase one that will help you provide warmth and comfort in all the seasons. One of the important things which almost every one of us forgets to carry when going out camping is the roll mat. Roll mats are foam mats that can be flattened and used as a mattress for your sleeping bag, providing you a smooth surface to sleep on. Though not paid attention by many, first aid kit is the most essential of all things that you should carry when camping. A camping trip will be full of surprises and unexpected terrain that can make you meet with small accidents. A first aid kit at this time will come handy in cleaning and dressing the wound till the time it gets professional touch. You can include bandages, safety clips, stitches, plasters and antiseptic to be able to deal with the injury on the first hand. You can even include general medications like that for headache and fever in your first aid kit. When you are going in the wild, insect bites are one thing that will really annoy you and will always be on the top of the list of your worries. These bites might even transmit various diseases or infections. Therefore, it is advisable to carry along some insect repellent, when going out for camping. When out for camping you are all by yourself and will have to manage and meet situations with the stuff which you have. It is advisable to carry along a lighter or matchsticks to take care of your fire need and also to carry a pen knife or a small tool kit that will help you in repair and kinds. Many of us believe that when going out in the wild we should not care much about our comfort and luxury. This thought makes us leave behind few essential clothing that we might need to fight the unexpected weather of the place we are going to camp in. Therefore, without bothering about the weight of the luggage, it is advisable to carry along essential clothing material. If you are not carrying food or if you don’t have any local arrangement for food, then carrying the cooking supplies and equipments along becomes quite essential. You can carry along a portable pot, a stove or kettle as well as the vegetables and other food items that you intend to eat. Don’t forget to pack in the utensils, lest you don’t have a plate to put in your share of food. Carrying a map and a rope becomes an essential part of your camping equipment, especially when you are going into a totally new place without a local guide. You should make it a point to carry a map and a rope to explore the new area. While a map would direct you towards the right path, a rope would help in the climbing act.